Please note Tere Naina A Musical Charity Gala occurred in past. The storm is over and it's time for some sunshine and some rainbows! Help those tiny eyes see the sunshine and enjoy the colors of the rainbow. Anil Loomba CEO Home Mortgage Solutions Inc and DSAA in association with Shankara Nithrelaya present 'Tere Naina' a Charity Gala. Join DSAA to continue its support towards vision for children. 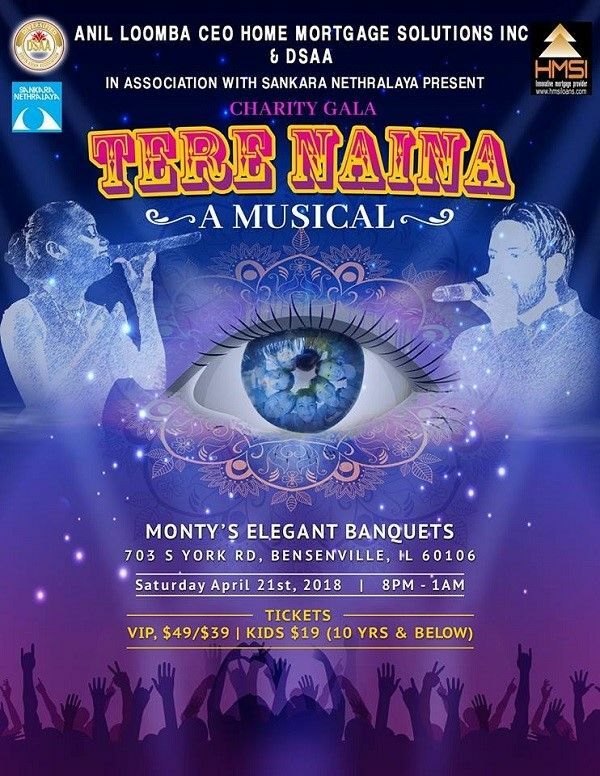 Please join us on April 21st for "Tere Naina", a Charity Gala at Monty's Elegant Banquets, 8 pm onwards.